Business Online Banking can save you time and money by providing day or night, 7 days-a-week access to your Territorial Savings Bank accounts. View account activity, transfer funds between business accounts, pay bills, wire funds, and more! If you have any questions, please feel free to call Electronic Banking Services at (808) 946-1400. Step 1: Complete and print the Business Online Banking Agreement. 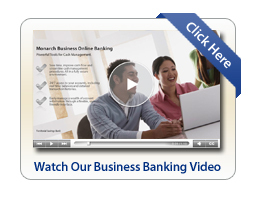 Step 2: Complete and print the Business Online Banking Enrollment & Update Services Form. Step 3: Drop off completed Agreement and Enrollment Form at any branch location. Your application will be processed quickly and we will get back to you with your login information.